The Lauvely line of dolls is the creation of designer and maker, Laura Cima. 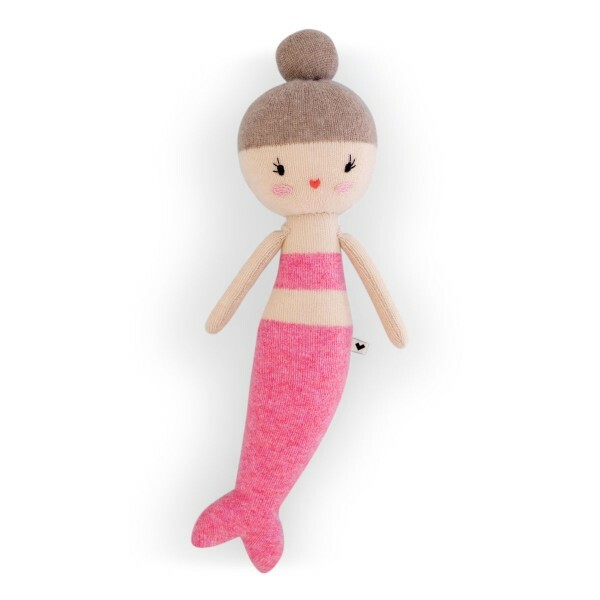 After 10 years working as a graphic designer in the advertising world, Laura shifted her direction and began knitting a collection of pirate, mermaid and circus themed dolls for children. 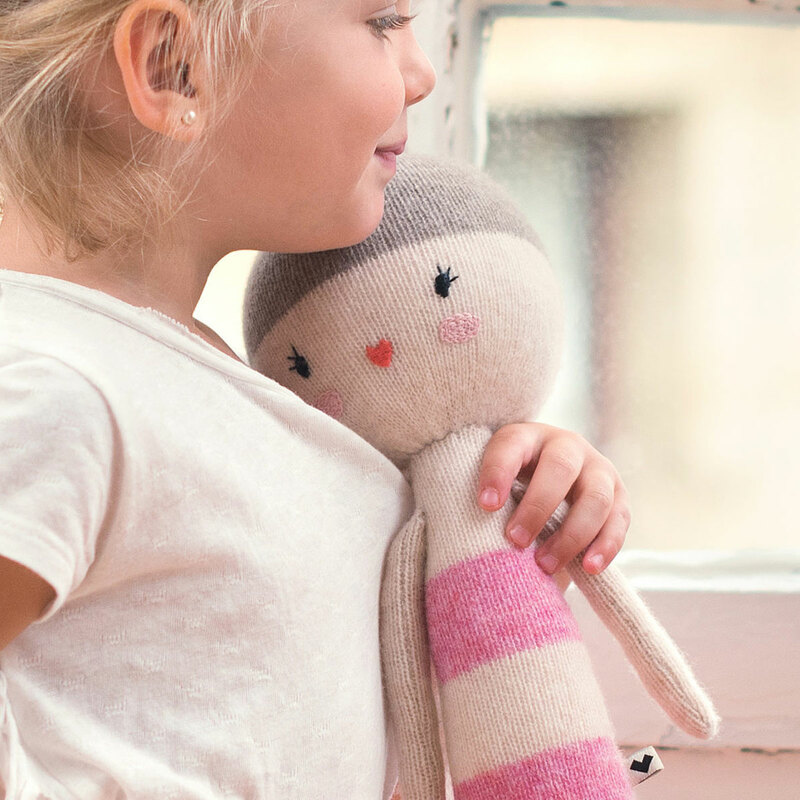 Inspired by fairytales, travel and the kids she meets, Laura spends her days in Gijón, Spain designing and making new friends for kids around the world. Intended to be treasured by both little ones and adults, each doll is knitted by Laura with 100% lambswool, filled with OEKO-TEX certified non-toxic 100% polyester, and delicately embroidered one by one, making each toy unique and full of personality. Adelia ,the Lauvely Rose Mermaid, loves strolling for hours though the bottom of the sea and finding abandoned treasures, the most beautiful shells or the strangest flowers. Every night, she and her friends get close to the seashore to listen to the cheerful songs of ‘One Eyed’ Jack, the pirate. Please note: All Lauvely toys are embroidered and handmade so the finishings and colors may be a little different from the picture.